For semiconductors wafers the upper limit for resistivity measurements is about 1000 Ωcm. Semiconductors with higher resistivity values can be conveniently measured with split post dielectric resonators. All single post dielectric resonators are custom made. 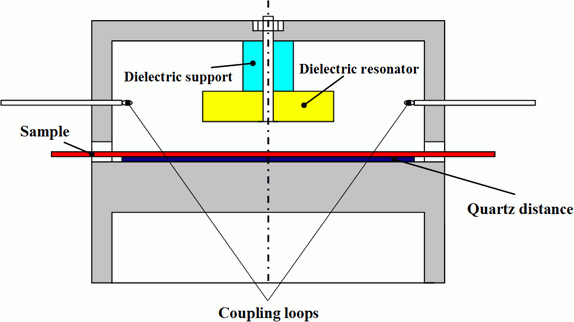 Measurement procedure Resonant frequency and Q - factor of the empty resonator and the resonator with investigated sample are measured. The measured values are saved in a text file using format specified in the manual of the resonator. Dedicated application (provided together with the resonator) reads the values listed in the file and calculates the surface resistance Rs.